For more information on supporting the work of the Colleen Giblin Research Laboratories for Pediatric Neurology, please see our ♥ Donations Page. The following list of employment opportunities is provided to facilitate the selection of interested individuals. Nevertheless, exceptionally qualified scientists and professionals are encouraged to submit an employment application at any time. All individuals seeking employment must meet the eligibility requirements of the Office of Human Resources of Columbia University. 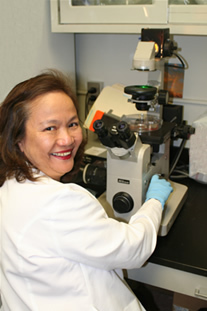 The Colleen Giblin Laboratories are located at the Neurological Institute of New York, a 14-floor facility that houses the first modern academic department of Neurology established in America. The Neurological Institute has been renovated in 2001, including the construction of a magnetic resonance research facility in the subbasement, and is located at the Medical Center campus (www.cumc.columbia.edu) of Columbia University (www.columbia.edu) and New York Presbyterian Hospital (www.nyp.org), one of the major biomedical complexes in the United States and the largest in New York City. Institutions on campus include the College of Physicians & Surgeons and associated research centers, The Presbyterian Hospital, The Milstein Hospital building, the Children’s Hospital of New York, the New York State Psychiatric Institute, the Mailman School of Public Health and the biomedical technology park of Columbia University, now including three new buildings. The Colleen Giblin Laboratories, a spacious facility overlooking the Hudson River, include state of the art work areas, offices, meeting and library space and equipment and are linked by a computer network to the scientific and clinical resources of the campus. Subscription to many on-line journals is provided free of charge by the Columbia University Medical Center library and there are gymnastic and childcare facilities on campus. Transportation to the Morningside campus of Columbia University is free of charge. Please include the name of the Giblin Laboratories Investigator and the abbreviation of the desired position in the Subject line of the application e-mail as explained below. Exceptionally qualified individuals may apply for more than one position. Molecular basis of cerebral energy utilization and failure Applicants must be highly competitive, hold an MD, MD/PhD or PhD in the biological or health sciences, and demonstrate expertise in human molecular genetics, protein chemistry and animal models of human disease as supported by a strong publication record. Familiarity with patient samples and data and associated regulatory issues, including patient confidentiality, will be helpful. Oral and written scientific communication skills must be excellent. Candidates are expected to critically understand the recent publications produced by the laboratory prior to applying. Examples are included in the ‘Publications’ section of our website. Send a cover letter, a CV and 3 letters of reference to Dr. Darryl C. De Vivo at ke4@columbia.edu and include the following in the subject line ‘Attention Dr. Darryl C. De Vivo – PF’. Molecular mechanisms of and ion channel and transporter function. Applicants must be highly competitive, hold an MD, MD/PhD or PhD in the biological or health sciences, and demonstrate expertise in recombinant DNA and tissue culture as supported by a strong publication record. Investigations will include the use of electrophysiological methods (oocyte voltage clamp and patch clamp of transfected cells) and tracer flux assays after heterologous expression of cloned DNA. Experience with at least one of these methods is required. Good communication skills and critical understanding of our past publications is also essential. Requires two or more years of experience with recombinant DNA, including bacterial culture, plasmid preparation, mutagenesis, RNA isolation and synthesis, transfection and DNA sequence analysis. The primary duties also include the supervision and maintenance of a mouse colony hosted in an adjacent staffed animal care facility. Exceptional individuals at an entry-level of experience may be considered. Send a cover letter, a CV and 3 letters of reference to Dr. Darryl C. De Vivo at ke4@columbia.edu and include the following in the subject line ‘Attention Dr. Dr. Darryl C. De Vivo – LT’. The Colleen Giblin Laboratories, are located in the Neurological Institute, Columbia University Medical Center and have been involved in path-setting research as well as multidisciplinary initiatives on the neurobiology of human disease. The Neurological Institute of New York is one of the world’s leading academic centers for the study of neuroscience and neurology and for the treatment of neurological diseases and ranks first nationally in terms of NIH funding. It is located at the heart of the Columbia University Medical Center in Manhattan, and it hosts the Columbia University Health Sciences Division, one of the largest and most prestigious biomedical and neuroscience research complexes in the world. The Colleen Giblin Research Laboratories for Pediatric Neurology, a unique training and scientific resource, and the Giblin Foundation, were established in 1985 by the Giblin family in memory of Colleen, their daughter, who succumbed to a brain tumor. Researchers from around the world are invited to participate in the work of the Laboratories and are encouraged to tackle virtually all areas of neurological disease using the latest advances in molecular and cellular biology and genetics. Former trainees and associates have developed similar research enterprises in the U.S. and other countries modeled after the Giblin Laboratories. The annual Colleen Giblin Award and Lecture Series provide additional opportunities for interaction with prestigious visiting researchers of international renown. Research is supported by the Colleen Giblin Foundation, the National Institutes of Neurological Disorders and Stroke, patients, families and many generous benefactors whose constant support make our endeavors possible. The Colleen Giblin Research Laboratories are committed to conducting the highest level of molecular and cellular research using the latest advances in molecular and cellular biology and genetics. The Laboratories serve as a forum where physicians and scientists from around the world can combine their efforts to study, and ultimately diagnose and treat, diseases of the developing nervous and muscular systems. Patients and their families are given the opportunity to participate in research on a cellular and clinical level so that advances can be made in understanding the etiology and clinical course of particular disease pathways. Through a combination of laboratory studies, natural history studies, and therapeutic trials, the goal of the Colleen Giblin Research Laboratories is to provide a scientific foundation for ultimately finding more effective treatments and preventive therapies for children.